The process of teacher identification, selection, initial training, and on-going professional development that has developed at the Illinois Virtual High School (IVHS) over the past seven years is described and discussed in this article. Validation was based upon existing practices and research. To provide background the creation and initial development of the IVHS is described. Some of the issues within the hiring process and professional development that the IVHS continues to struggle are examined including teacher certification and the changing nature of technology. The paper concludes with a recommendation that teacher education programs assist in addressing these challenges to support IVHS and other virtual schools. Barbour, M., Kinsella, J., Wicks, M. & Toker, S. (2009). Continuing Change in a Virtual World: Training and Recruiting Instructors. Journal of Technology and Teacher Education, 17 (4), 437-457. Waynesville, NC USA: Society for Information Technology & Teacher Education. Retrieved April 19, 2019 from https://www.learntechlib.org/primary/p/28210/. Blomeyer, R. L., & Dawson, M. (2005). Virtual schools: Policy and practice considerations. In Z. L. Berge & T. Clark (Eds. ), Virtual schools: Planning for success (pp. 61-76). New York: Teachers College Press. Clark, T., & Else, D. (2003). Distance education, electronic networking and school policy. Cross, K. P. (1998). Why learning communities? Why now? About Campus, 3(3), 4-11. Davis, N. M. (2003). Creating a learning community in the virtual classroom. In D. R. Walling (Ed. ), Virtual schooling: Issues in the development of e-learning policy (pp. 77-83). Bloomington, IN: Phi Delta Kappa Educational Foundation. Davis, N. E., & Roblyer, M. D. (2005). Preparing teachers for the “schools that technology built”: Evaluation of a program to train teachers for virtual schooling. Journal of Research on Technology in Education, 37(4), 399-409. Davis, N., & Rose, R. (2007). Research committee issues brief: Professional development for virtual schooling and online learning. Vienna, VA: North American Council for Online Learning. Elbaum, B., McIntyre, C., & Smith, A. (2002). Essential elements: Prepare, design, and teach your online course. Madison, WI: Atwood Publishing. Freedman, G. (2005). Virtual schools: Technology and transformation. In Z. L. Berge & T. Clark (Eds. ), Virtual schools: Planning for success (pp. 35-45). New York: Teachers College Press. Garet, M. S., Porter, A. C., Desimone, L., Birman, B. F., & Yoon, K. S. (2001). What makes professional development effective? Results from a national sample of teachers. American Educational Research Journal, 38(4), 915-945. Harms, C. M., Niederhauser, D. S., Davis, N., Roblyer, M. D., & Gilbert, S. B. (2006). Educating educators for virtual schooling: Communicating roles and responsibilities. Hinson, J. M., & Bordelon, R. S. (2004). Professional development recommendations for online course designers. In C. Cavanaugh (Ed. ), Development and management of virtual schools: Issues and trends (pp. 135-157). Hersey, PA: Idea Group. Hughes, J. E., McLeod, S., Brown, R., Maeda, Y., & Choi, J. (2005). Staff development and student perceptions of the learning environment in virtual and traditional secondary schools. Naperville, IL: Learning Point Associates. Jacobsen, D. M., & Lock, J. V. (2004). Technology and teacher education for a knowledge era: Mentoring for students futures, not our past. 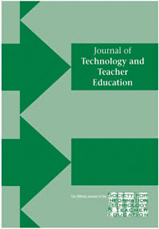 Journal of Technology and Teacher Education, 12(1), 75-100. Lowes, S. (2007). Professional development for online teachers. In C. Cavanaugh & R. Blomeyer (Eds. ), What works in K-12 online learning (pp. 161-178). Eugene, OR: International Society for Technology in Education. Pape, L. (2003). Life in the cyber trenches of the virtual high school. In D. R. Walling (Ed. ), Virtual schooling: Issues in the development of e-learning policy (pp. 113123). Bloomington, IN: Phi Delta Kappa Educational Foundation. Pape, L., Adams, R., & Ribeiro, C. (2005). The virtual high school: Collaboration and online professional development. In Z. L. Berge & T. Clark (Eds. ), Virtual schools: Planning for success (pp. 118-132). New York: Teachers College Press. Renninger, K. A., & Shumar, W. (2002). Building virtual communities: Learning and change in cyberspace. New York: Cambridge University Press. Rice, K., & Dawley, L. (2007). Going virtual! The status of professional development for K-12 online teachers. Boise, ID: Boise State University. Smith, R., Clark, T., & Blomeyer, R. L. (2005). A synthesis of new research on K-12 online learning. Naperville, IL: Learning Point Associates. Watson, J. (2007). A national primer on K-12 online learning. Vienna, VA: North American Council for Online Learning. Watson, J., Gemin, B., & Ryan, J. (2008). Keeping pace with K-12 online learning: A review of state-level policy and practice. Vienna, VA: North American Council for Online Learning. Zucker, A., & Kozma, R. (2003). The Virtual High School: Teaching generation V. New York, NY: Teachers College Press.